So this is a shout out to all the Business Anthropology people of the world, you need to write more! Like 10 times more than what is out there!!! I have 2 books in hand, I had to become an AAA member to get articles and still not much.I can’t even find 10 articles in the last ten years that focus or have the word for that matter -ethics in it. 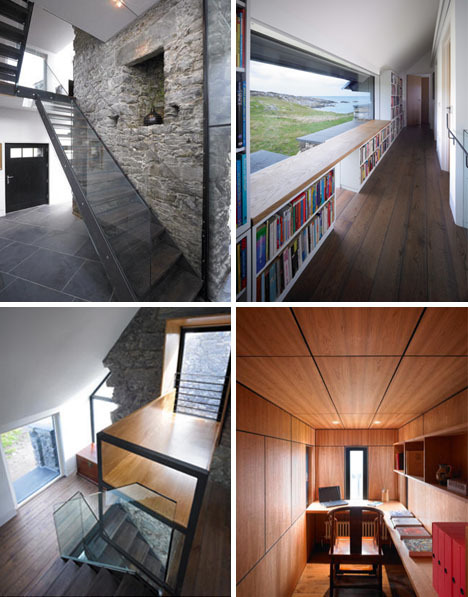 This is amazing what WT architecture did to this old island falling down house. Its just a dream! All started with archaeology and end up with a modern house. If only we did this more, we could save more houses and ruins around the world and not just tear them down, but see we can have history and modern all in one. Look at the bookcase/library!You can read and see the ocean at the same time.